A Panda's First Snow Day: Pile On The Cuteness : The Two-Way Because life isn't all political drama and misdeeds, we bring you a video of the young panda Bao Bao frolicking in the snow at the National Zoo in Washington, D.C.
Because life isn't all political drama and misdeeds, we bring you a video of the young panda Bao Bao frolicking in the snow at the National Zoo in Washington, D.C. The zoo posted the video this afternoon, noting that the 16-month-old Bao Bao "was quite the little snow panda. She spent her morning tumbling down the hill in her yard, climbing and sliding down trees and pouncing on her mom." The zoo also notes that the giant pandas' natural mountain habitat in China includes cold and snowy winters. Several inches of snow fell in Washington on Tuesday, leading the Smithsonian zoo to close for the day. But the pandas got out to enjoy the day, as did the lions, tigers and wolves. 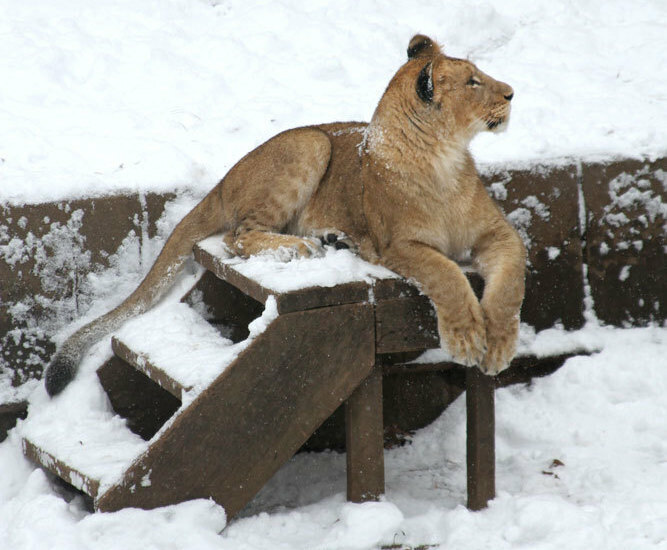 An African lion cub regards her habitat after a morning snowfall at the National Zoo in Washington, D.C. But the happiest of them all may have been the seals, whose snouts and whiskers were coated white with snow. 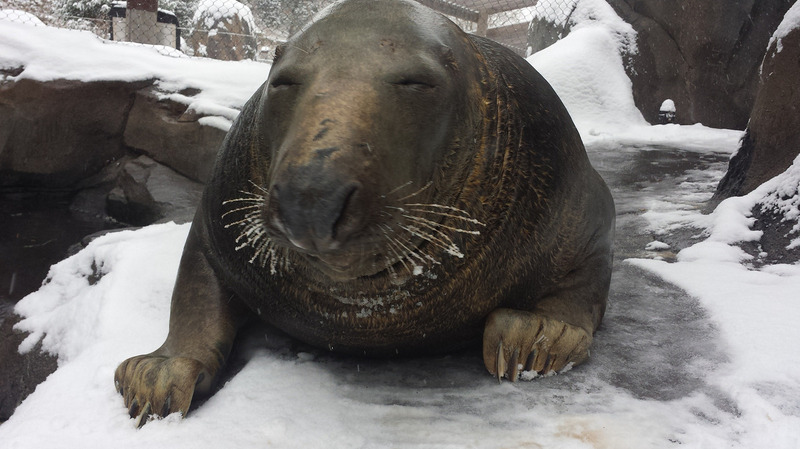 A gray seal named Gunther takes in the snow at the zoo. When we checked on the "panda cam" this afternoon, the zoo residents had moved indoors to snack on copious amounts of bamboo. No word on whether the zoo offered hot chocolate.